Associate Professor Sarah Johnson is applying engineering solutions to a range of end-user’s problems. The basis of Sarah’s research is digital information and digital signals processing. She has developed an international profile in error correction codes, which are essential to establishing and maintaining secure and reliable transmission of data, which improve the reliability and quality of digital technologies such as television, mobile phones and the Internet. "Just about any time we communicate, whether it is a text message to a friend or a critical communication, we are using error correction to get that message through," Sarah says. Sarah’s fundamental contribution to secure information communication systems has demonstrated national and international impact, in both theory and end user applications. Her works in Low Density Parity Check Codes have significant implications for communications reliability, utilisation and simplified implementation. In addition to making fundamental discoveries, Sarah actively engages with industry, most significantly collaborating with Quintessence Laboratories, developing ultra-secure quantum key enabled communication. This aims for the realisation and production of data communications systems with guaranteed security properties based on quantum technology. She is also extensively engaged in applying digital signal processing in the field of biomedical engineering, with a focus on developing new technologies to improve the brain’s recovery following injury or disease. Sarah is currently working on new sensor-enhanced motor-learning technology to assist during recovery from stroke. A University of Newcastle electrical engineering alumna, Sarah was awarded her PhD in 2004 and launched her research career with a fellowship at NICTA, Australia's Information and Communications Technology Research Centre of Excellence. 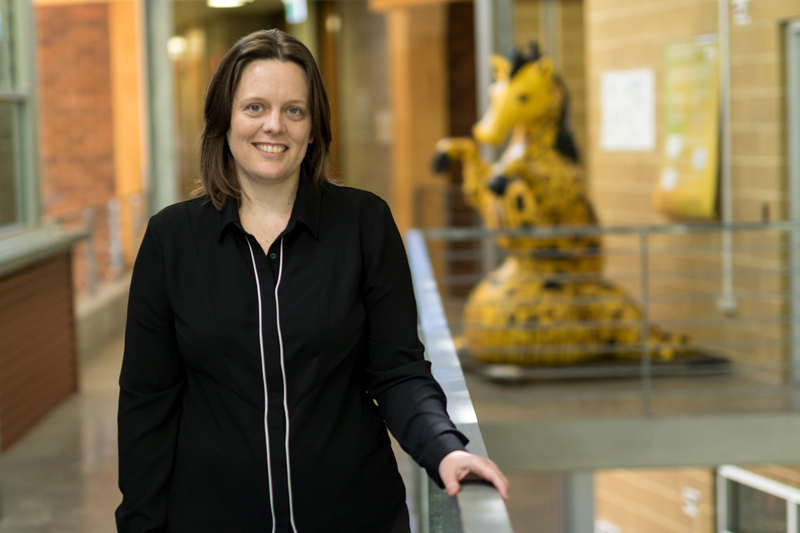 She is now Associate Professor at the University of Newcastle and her specialty field is digital information and digital signals processing which has widespread application across a number of fields. Sarah focusses on creating solutions through using mathematical algorithms and collaborating across a number of disciplines. Working with colleagues in computer science, electrical engineering and biomedical sciences Sarah aims to deliver the keys to a clearer image of the future. Sarah is an expert on error correction codes which improve the reliability and quality of digital technologies such as mobile phones, the internet, DVD players. Her specialty field is iterative error correction coding, which has widespread application in cellular communications, digital video broadcasting and wi-fi networks. A collaboration with QuintessenceLabs is developing next-gen quantum key distribution (QKD) technology that will enable two parties to produce a random shared key, known only to them. This key can then be used to encrypt and decrypt messages to guarantee secure transmission of data. This work has potential for a broad range of applications and industry where security and sensitivity is essential. “Banks, government, defence forces and the corporate world are just some of the areas set to benefit from these information protection solutions,” Sarah says. “Data security is of the utmost importance, whether it’s a company protecting itself from espionage attacks or a country guarding against cyber-terrorism,” Sarah adds. Collaborating with colleagues from biomedical sciences, neuroscience, engineering and rehabilitation experts, Sarah is applying information and digital signals processing technologies to develop a sensor enhanced motor learning approach to augment physiotherapy treatment and improve rehabilitation outcomes for stroke patients. 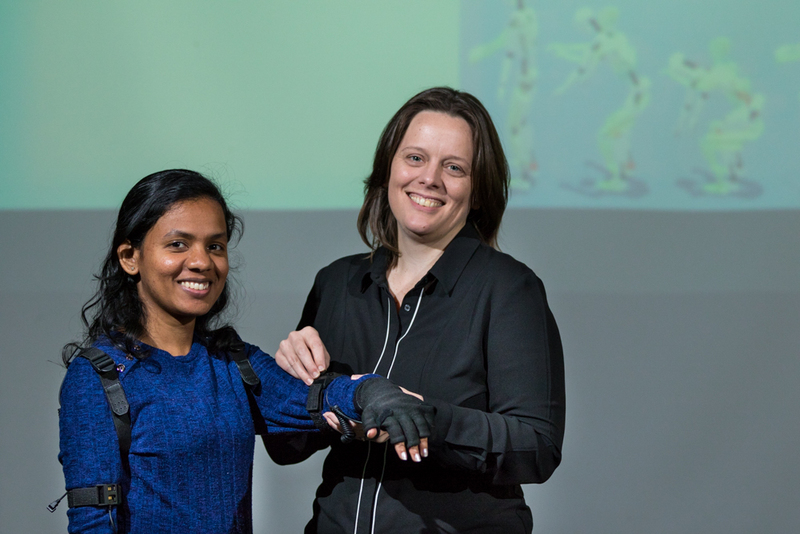 Firstly, the SEML (sensor-enhanced motor-learning) project aims to support patients to optimize their physiotherapy exercises in a non-clinical environment, such as their own home. A visual model of the ideal movements for each exercise is modelled through readings from a movement tracking suit, which uses gyroscopes that track range motion (the suit is worn by a physiotherapist who demonstrates the exercises). This expert model is then incorporated into software that the patient can use in their home. The patient then does their exercises whilst wearing the movement tracking sensors and the software provides real-time guided feedback on how to adjust their actions. The system also records the patient’s performance for review by an expert. Secondly, the Cerebrovascular Health Project aims to better understand the effectiveness of rehabilitation on the recovery of the brain. Non-invasive NIR (near-infrared) imaging is used to shine light on the brain to measure activity in different areas. As a particular part of brain becomes active blood flow increases oxygen levels. Because the oxygenated areas reflect and refract the light differently, the infrared image can show which areas of the brain are active. If the infrared imaging is captured during the physiotherapy exercises, feedback can be provided on which movements are working to stimulate brain function. As an engineer, it’s no surprise that Sarah has a keen interest in promoting STEM. This led to her co-found HunterWISE, a group dedicated to promoting and supporting girls and women in STEM. HunterWISE features two interlinked actions aimed at increasing the number of girls and women participating in STEM through a school program and a series of networking events across the Hunter for women STEM professionals. This approach is designed to steer women toward STEM, and encourage their retention in the STEM pipeline.